The cool new trend of Thai rolled ice cream and bubble tea is here! Thai rolled ice cream is exactly what it sounds like: it’s cute, tiny rolls of ice cream that are topped with all sorts of delicious toppings like sprinkles, chocolate chips, hot fudge and much more! The store offers 11 ice cream flavors as well as a variety of milk and fruit tea flavors, all at affordable prices. I tried the Pink Lady ice cream with a mango bubble tea and, while waiting for my order, I was in awe of the atmosphere. 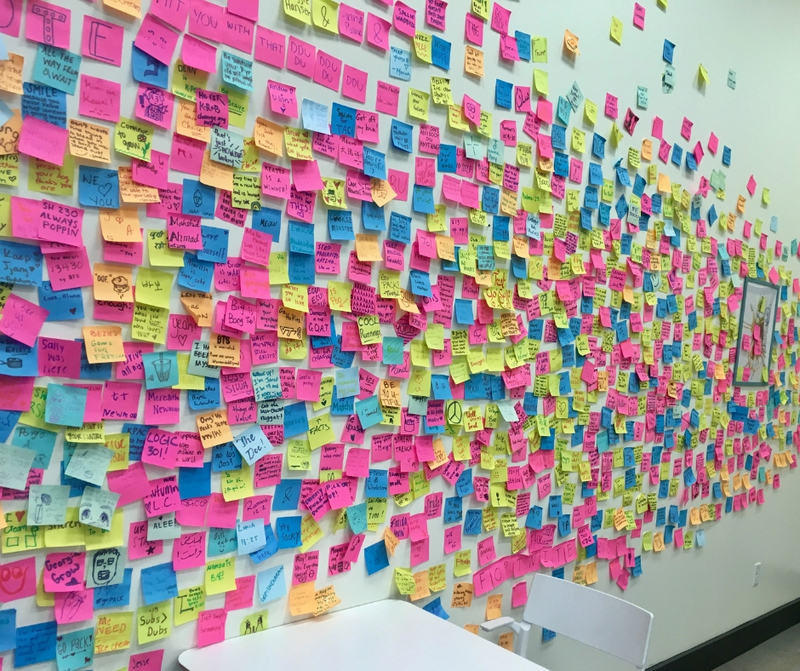 The moment you step in the store, the giant wall covered in colored sticky notes certainly grabs your attention and keeps you entertained. 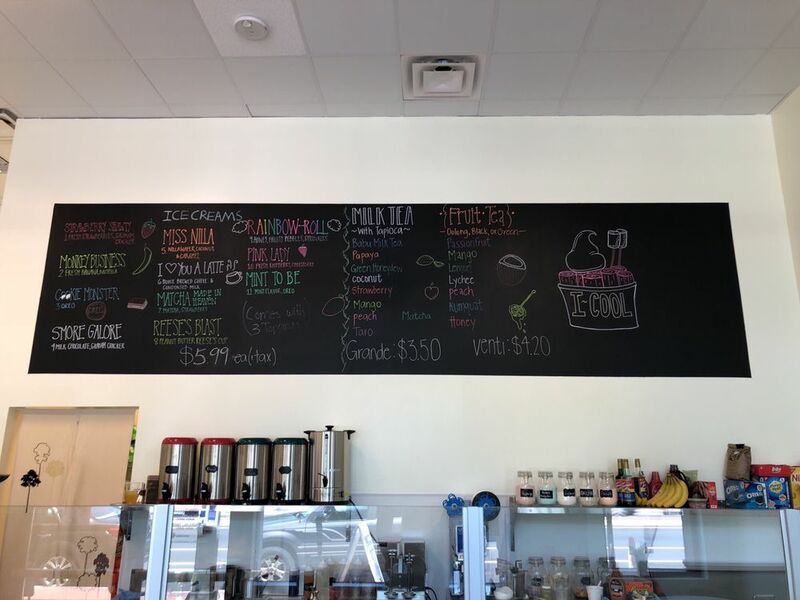 I loved the chalk board they also had for customers – it’s always fun to see a person’s inner artist come out. As I was reading the hundreds of sticky notes filled with silly puns, drawings, and song lyrics, I was soon called for my order, and I was SHOOK. The ice cream and the mango bubble tea looked heavenly and it tasted even better! The ice cream was mixed with fresh raspberries and cheesecake, leaving my taste buds screaming in joy with every bite. It was soft, creamy, flavor full and PINK - it just couldn’t get any better. The ice cream is totally Instagram worthy. And the mango bubble tea was the cherry on top, it was oozing with a fruitful mango taste which quickly turned into my next favorite drink. Iced coffee who? It’s all about the mango bubble tea now. So, head down there with your roommates, or bring a cute date because it’s a place for everyone. It’s every child’s dream spot and every adult’s guilty pleasure! 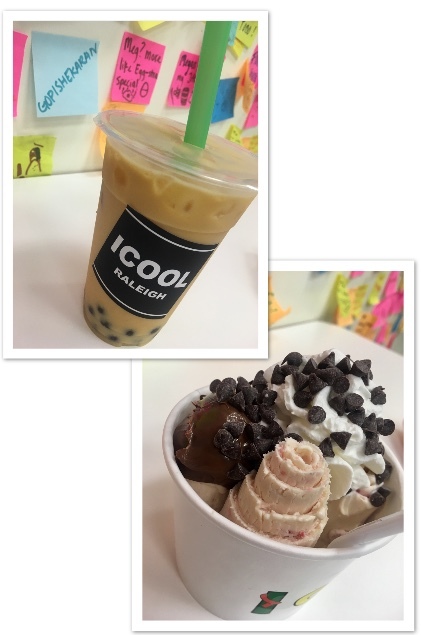 Try iCool Ice Cream for yourself, you can find them at: 3001 Hillsborough St #120, Raleigh, NC 27607.